Command Picture Hangers, Hooks and Clips make decorating quick and easy. 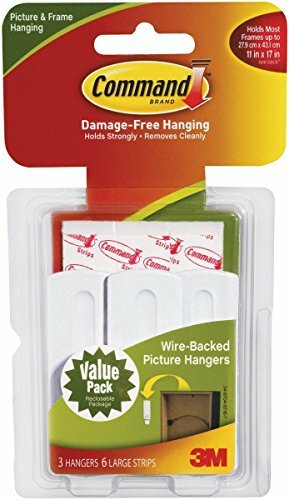 Command Sawtooth Sticky Nail Hangers and Command Sawtooth Picture Hangers are designed for sawtooth, D-ring and keyhole hanging frames, while Command Wire-Backed Sticky Nail Hangers and Command Wire-Backed Picture Hanging Hooks are perfect for wire-suspended frames. For unframed photos and artwork, use Command Picture Clips. 3 Pack.